Flow up to 569 m3/h. The UV system Dulcodes MP for water treatment and disinfection in swimming pools. Combined chlorine is broken down and the typical swimming pool odour is eliminated: no more irritation for eyes, nose and skin. A manual stage switch permits adaptation to the required capacity requirement. Flow up to 739 m3/h. 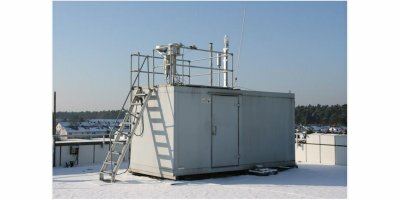 The UV system Dulcodes A helps to ensure water quality. 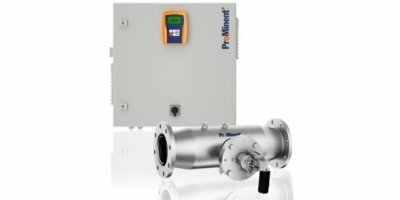 The UV system works energy-efficiently and cleanly based on continuously variable medium pressure lamps and can therefore automatically compensate for variations in the water quality or level of contamination. Weight: 26000 kg. Total length: 8 260 mm. Total width: 3 660 mm. Total height: 4 320 mm. Wheel base: 4 050 mm. Ground clearance: 890 mm. Length without dozer blade: 6 640 mm. Width without dozer blade: 3 250 mm. Inside turning radius: 3 880 mm. Driving speed ranges: 0-4.5 km/h 0-6 km/h. Maximum crushing force: 127 kN. For more than 25 years MCZ manufactures measuring stations and test vans for the most diverse tasks. 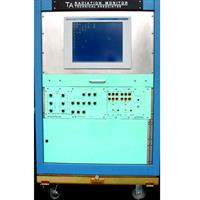 Main operational areas are measurements in the range immission, emission, water, meteorology and radiation protection. All systems are conceived more or less individual systems after customer default and setting of tasks. Weight: 32 000 kg. Total length: 8 260 mm. Total width: 3 660 mm. Total height: 4 320 mm. Wheel base: 4 050 mm. Ground clearance: 890 mm. Length without dozer blade: 6 640 mm. Width without dozer blade: 3 250 mm. Inside turning radius: 3 880 mm. Driving speed ranges: 0-5 km/h 0-7 km/h. Maximum crushing force: 157 kN. Weight: 45 000 kg. Total length: 9 230 mm. Total width: 5 000 mm. Total height: 4 320 mm. Wheel base: 4 050 mm. Ground clearance: 890 mm. Length without dozer blade: 7430 mm. Width without dozer blade: 4 390 mm. Inside turning radius: 3 310 mm. Driving speed ranges: 0-5 km/h 0-7 km/h. Maximum crushing force: 221 kN. Weight: 45 000 kg Total length: .9 230 mm Total width: 5 000 mm Total height: 4 320 mm Wheel base: 4 050 mm Ground clearance. : 890 mm Length without dozer blade: 7 430 mm Width without dozer blade. : 4 390 mm Inside turning radius: 3 310 mm Driving speed ranges: 0-5 km/h 0-7 km/h Maximum crushing force: 221 kN. Weight: 52 000 kg. Total length: 9 230 mm. Total width: 5 000 mm. Total height: 4 320 mm. Wheel base: 4 050 mm. Ground clearance: 890 mm. Length without dozer blade: 7430 mm. Width without dozer blade: 4 390 mm. Inside turning radius: 3 310 mm. Driving speed ranges: 0-5 km/h 0-7 km/h. Maximum crushing force: 255 kN. Weight: 52 000 kg. Total length: 9 230mm. Total width: 5 000 mm. Total height: 4 320 mm. Wheel base: 4 050 mm. Ground clearance: 890 mm. Length without dozer blade: 7 430 mm. Width without dozer blade: 4 390 mm. Inside turning radius: 3 310 mm. Driving speed ranges: 0-5 km/h 0-7 km/h. Maximum crushing force: 255 kN. Weight: 38 000 kg. Total lengthc 9 050 mm. Total width: 4 500 mm. Total height: 4 320 mm. Wheel base: 4 050 mm. Ground clearance: 890 mm. Length without dozer blade: 7430 mm. Width without dozer blade: 4 390 mm. Inside turning radius: 3 310 mm. Driving speed ranges: 0-5 km/h 0-7 km/h. Maximum crushing force: 186 kN. Weight: 26 000 kg. Total length: 8 260 mm. Total width: 3 660 mm. Total height: 4 320 mm. Wheel base: 4 050 mm. Ground clearance: 890 mm. Length without dozer blade: 6 640 mm. Width without dozer blade: 3 250 mm. Inside turning radius: 3 880 mm. Driving speed ranges: 0-4,5 km/h 0-6 km/h. Maximum crushing force: 127 kN. Boiler IQ is a revolutionary new technology developed in partnership with Worcester Bosch for British Gas. 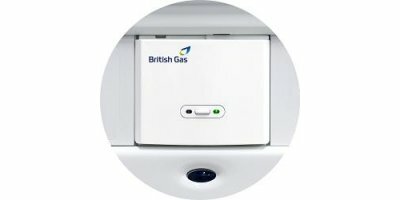 It lets British Gas keep an eye on your boiler and detects when it stops heating your radiators or generating hot water, so you don't get left in the cold. See how it could benefit you. The wood panel industry has been experiencing problems with fire and dust explosions for many years. Up to today, these problems haven't been eliminated. And unfortunately as production increases, so does the risk for fire and explosions. By Firefly AB based in Stockholm, SWEDEN. Now, more than ever people are concerned with exposure to radiation. And since the Fukushima event, it’s understandable. 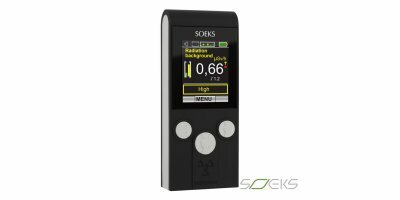 See what you’re exposed to with the easy-to-use SOEKS 01M Radiation Detector (2nd Generation). The 4200 is ElectraTherm’s lowest output machine at 35kWe, ideal for smaller heat sources with low temperature waste heat (i.e. 500kW stationary engine). The machine marks ElectraTherm’s first turnkey ORC package for simple installation and commissioning, with the lowest market costs for commercial technology of its kind available. By ElectraTherm based in Reno, NEVADA (USA). During solar drying a pasty mixture of sludge and water is transformed into a dry granule. As a result the mass of sewage sludge is reduced by 70-96%. All known possibilities for utilising sewage sludge remain after drying. By SolarTiger GmbH based in Gurten, AUSTRIA.